After directing YouTube to pull down objectionable video links of Indian Air Force pilot Abhinandan Varthaman, the government on Thursday sent out a stern warning to social media firms not to allow their platforms to be abused for “weakening the morale of the country”. 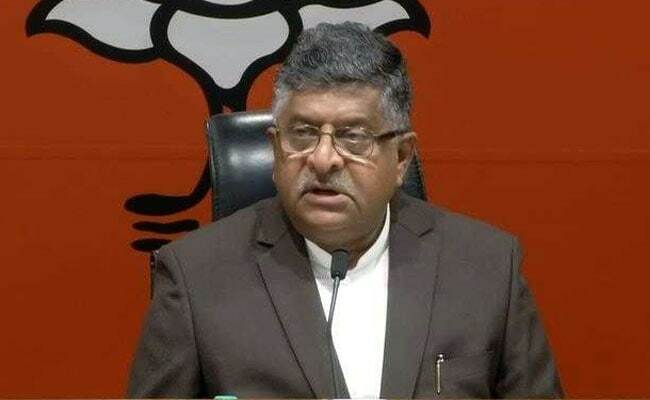 “The Indian democracy celebrates freedom of expression and ideas but in the light of the current situation, we expect social media (companies) to ensure that their platforms are not allowed to be abused by putting such videos that are designed to weaken the morale of the country,” Information and Technology Minister Ravi Shankar Prasad said after the cabinet briefing. He added that the government expects social media platforms to act more responsibly and address such issues with urgency. Mr Prasad said following a directive from the Home Ministry, the IT Ministry had sent a notice to Google-owned YouTube to remove 11 links of “humiliating videos” pertaining to Wing Commander Abhinandan Varthaman. These videos were removed following the directive, he added. favour of freedom of expression, their platforms should not be allowed to be misused,” he asserted. Mr Varthaman’s MiG 21 was hit and he was captured by Pakistan during an air combat on Wednesday. Earlier on Thursday, Pakistan Prime Minister Imran Khan announced that Mr Varthaman would be released on Friday as a “peace gesture”. When contacted, a Google (which runs YouTube) spokesperson said the company complies with “valid legal requests from authorities wherever possible, consistent with our longstanding policy and act quickly to remove such material”. “Data on government requests to remove content from Google services is regularly updated in our transparency report,” the spokesperson added. Hashtags like #BringbackAbhinandan, #SayNoToWar, #MiG21, #F16 and #PakFakeClaim were trending as netizens from both the sides of border turned to social media to express their views.